For work and for play, you’ll need a truck that won’t quit. There’s a reason so many hardworking individuals choose the Ford F-150 to take them from the workday to the weekend. Your time to discover the power of Ford is now! 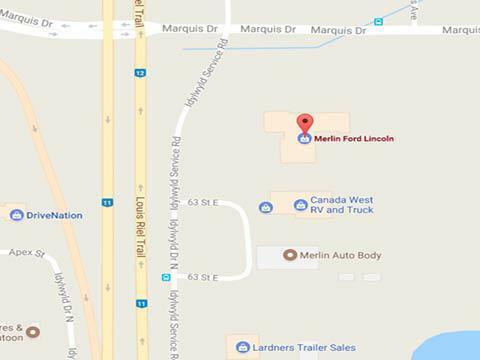 To find your Ford F-150 for sale near Warman, visit Merlin Ford, Saskatchewan’s premier dealership for everything Ford. One of the best things about the Ford F-150 is its versatility. If you can dream up a job, you can bet there’s an F-150 to take it on. Merlin Ford is proud to carry an exceptional selection of new and used Ford F-150s, loaded with all of the convenient features and cool technology you need to take on the workday! Our friendly, no-pressure sales staff will work hard to match you with the F-150 that’s got all the right tools in its toolbox. If you’re looking for a dealership that always goes above and beyond, come and see us at Merlin Ford. Not only do we carry a superior selection of Ford F-150s for sale near Warman, we give you a world-class dealership experience, every time. You can find us at 3750 Idylwyld Drive N in Saskatoon, SK, or call us at 306-931-6611. You’re interested in a truck with legendary capabilities. But why not go for the whole package, and choose a truck that’s got brains, brawn, AND beauty? The Ford F-150 delivers, with its rugged good looks and bold road presence. Between the muscular grille and blazingly bright lighting, the F-150 doesn’t just turn heads, it gives bystanders whiplash. The Ford F-150’s available SYNC systems help you stay connected, no matter where you roam. You can control all of your music and apps with the sound of your voice, which lets you keep your hands at 10 and 2. SYNC is also compatible with Android Auto and Apple CarPlay, which lets your Ford F-150 seamlessly integrate with your smartphone. Drive smarter, in an Ford F-150 for sale near Warman. Of course, the Ford F-150 has ample outside storage space. But the interior also offers a place for all of your gear to call home. Under-seat storage and door panel bins give you plenty of stowing space. The fully-flat cabin floor makes it easy to access every square centimeter of interior cargo capacity. For technophiles, there’s even a safe space to store your laptop! Go ahead, take it all with you in the F-150. The Ford F-150 leads the way in innovative safety. 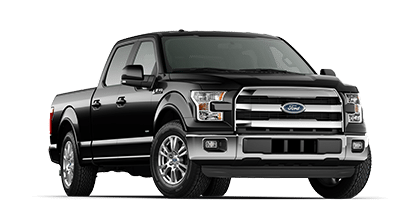 With its durable, military-grade aluminum alloy frame, and unique 12-sided design, the F-150 is safer and stronger than ever before. Other advancements like dual-stage airbags and safety belt pretensioners add an extra sense of security to every drive. It’s no wonder the F-150 earned the National Highway Traffic Safety Administration’s highest possible crash test rating of 5 stars.